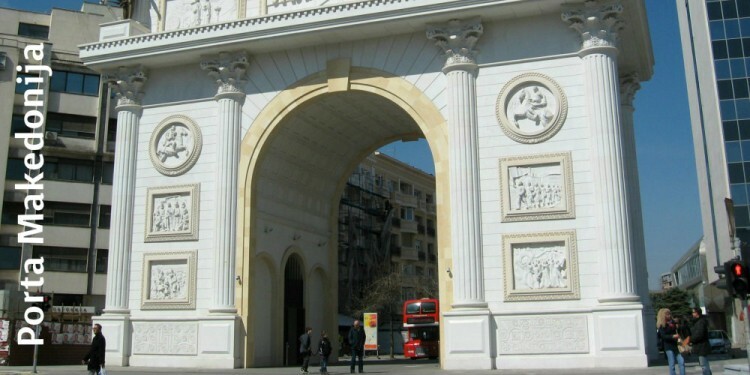 There we were, on a crisp Monday morning, standing next to the Porta Makedonija. We arrived well in time so we could mentally prepare each other for our first television appearance. When the reporter and the cameraman arrived, it became clear that we should not have worried. They were nice and very well informed about our story. That gave us the confidence that they would make a good item. Which turned out to be true. Our item about Skopje City Walk, which lasted an ample 5 minutes and was broadcasted at various times on Saturday and Sunday, was informative and personal. This is a good way to start the winter!